Wheel of fortune? Or misfortune? 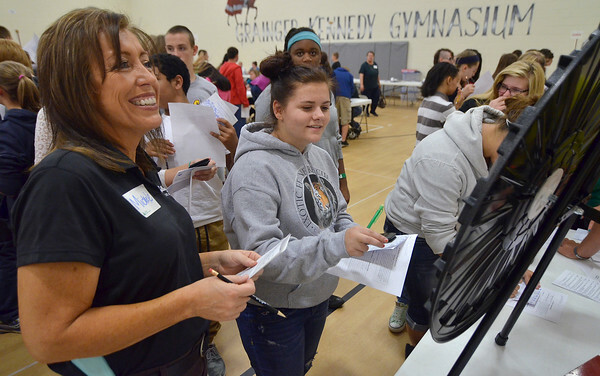 : Otter Creek Middle School student Peyton McKenna spins a "wheel of fortune" as volunteer Michele Funkhouser, left, of Kellogg's prepares to let her know how her spin will affect her income on Tuesday at Woodrow Wilson Middle School.